Please do not take a photograph of an existing photo. This will result in a sub-standard image that will not produce a good result. Better to send us the original photograph. Note that, as standard in printing, all photographs will be colour corrected (as they are in RGB and need to be converted to CMYK to print). This can result in some colour shift and colours may look slightly different to the original. We can scan a physical photograph if you send it to us. This is usually the most reliable way for us to achieve the best result. We do not charge for scanning services but do charge a fee for processing each image so that it is ready to be printed. This includes repair (where necessary) and colour conversion and correction. Please do not cut, draw on or in any way harm your original photograph. 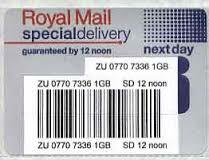 Please ensure to use the Post Office Special Delivery service to send any photos via post, as this can be traced in case it goes astray. Please do not use Recorded Delivery. We can also make use of digital photographs or your own scan. Please ensure that the image is a minimum of 300dpi. A 72dpi image will look fine on screen but will not reproduce well as printing requires a higher resolution. If this is difficult you may want to ask a third party (such as Snappy Snaps or a Copy Shop) to scan your image for you and then email the file to us. Ask for 300dpi minimum. We can handle most file types but digital photo files are best sent as .jpg files. • You can upload photographs and images to be used on your design via this site. To do so please use the product page that you require, choose an image from our library and follow the onscreen instructions. Some early or low resolution phone camera images may be unsuitable for high quality reproduction. Many modern phones can also take low quality pictures. If sending the image from an iPad or iPhone take care to send the full size version when given the option. If the image is less than 100k in size it is almost certainly too small. Other images can be judged on quality once submitted. Where possible we will not commence work on a poor quality image before consulting you first.